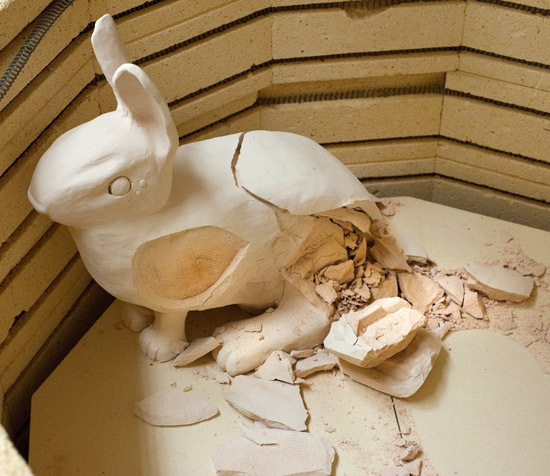 What your clay project will do if it is too thick, fired too wet, or has unvented hollow areas. If the clay is too thick it takes much longer for the center to dry out thoroughly. 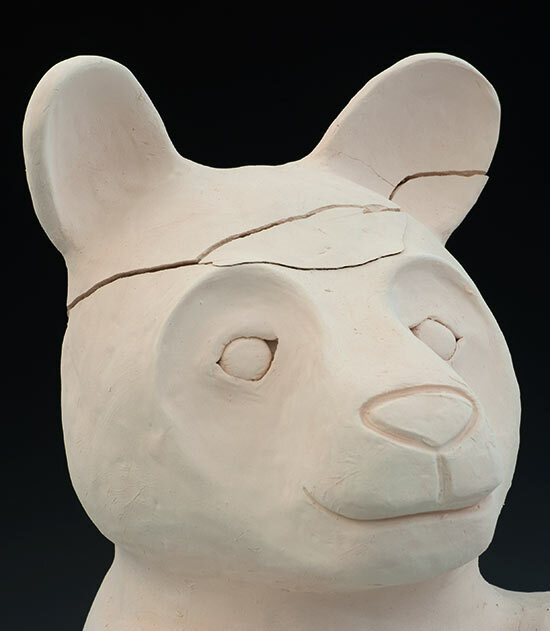 If the clay has moisture in it when fired, the moisture will turn to steam and expand, and if the steam cannot escape from the piece fast enough it will blow the piece up. Unvented air pockets in the clay can seem to cause similar problems, but the real issue is probably again that the piece is not completely dry, and that steam collects in the unvented cavities and builds up pressure. 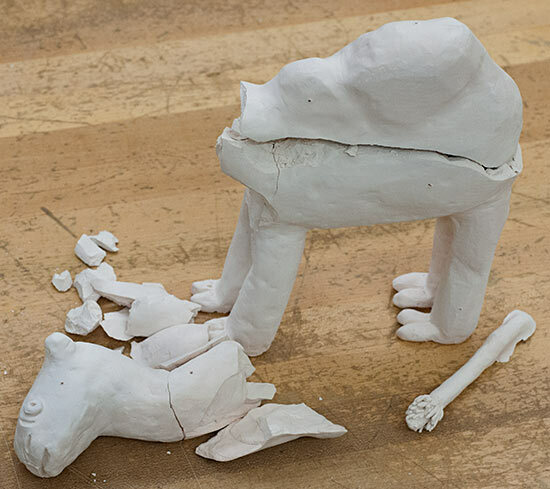 In the picture above, the head and body were made as two separate hollow pieces, each of which had a hole to vent it. 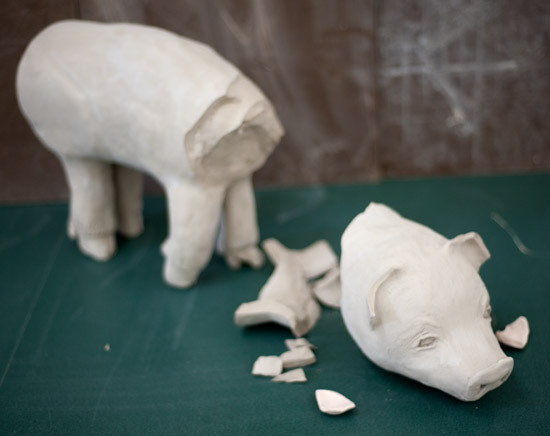 Alas, poor wee piggy, a collar of clay was used to form the neck and join the two pieces together, and the cavity thus formed was not vented. The result: a kiln full of bacon bits. 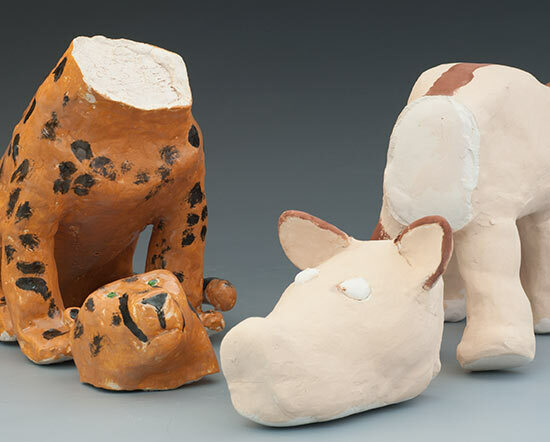 Expert potters who completely dry out their work and bring the kiln up to temperature slowly can and do fire unvented hollow pieces without problem. 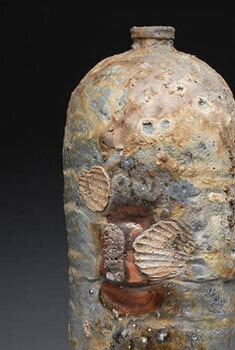 The key is they have complete control over how dry their pieces are before they're loaded and fired, and they also have control of the firing. In the picture below (I must love blowing up pigs! Who knew?) 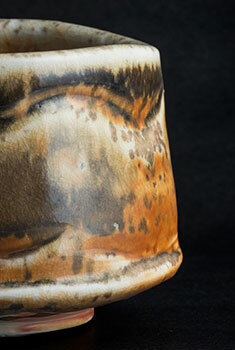 the clay was thick and still had too much moisture in it, even after candling it overnight and firing the kiln slow. 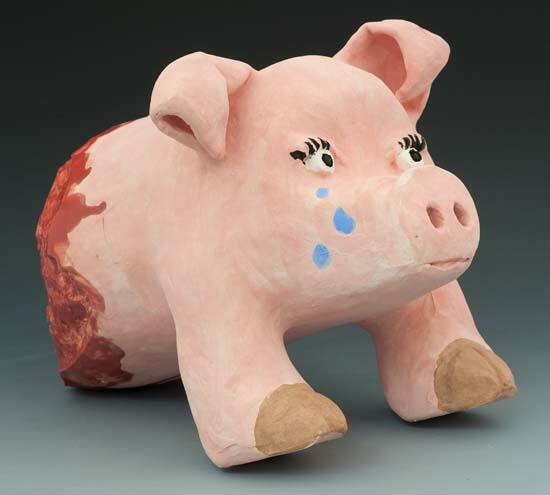 This little piggy went boom-boom and cried all the way home. Can you see it's tears? Can you see them? Too much moisture - let your pigs dry out before you fire them. Remember, only YOU can prevent pig explosions. The Ceramics Blow-Up Hall Of Fame! A student who doesn't listen? I pity the bull! The old camel-bomb trick - I can't believe I fell for it. There were a number of vent-holes poked in Mr. Camel, but they were clever fakes - Mr. Camel was pretty much solid. And what do camels store in their humps? That's right, kids - water. 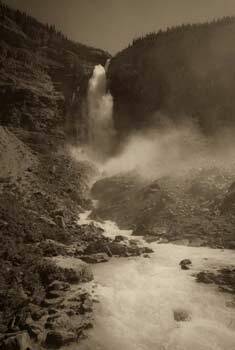 Beware bisquing the wet and wily bactrian and bombedary! Smoking AND steaming can kill. 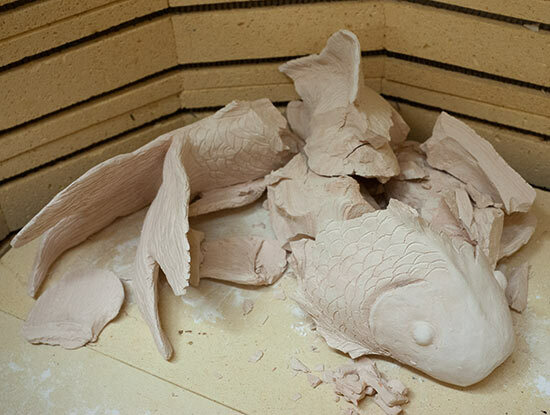 My no-fail fish n' chips recipe: take a big solid clay fish, put it in the kiln, ramp it up and - koi-boom! This one I was sad about - it was a well-done piece by an exchange student, except that she didn't hollow it out when she needed to, when I thought she had. Note to self: when you say to a student "Let's poke a hole in this - you hollowed it out, right?" and they look doubtful . . .
Just the heedless making the headless here. Mr. Panda loses his cool. 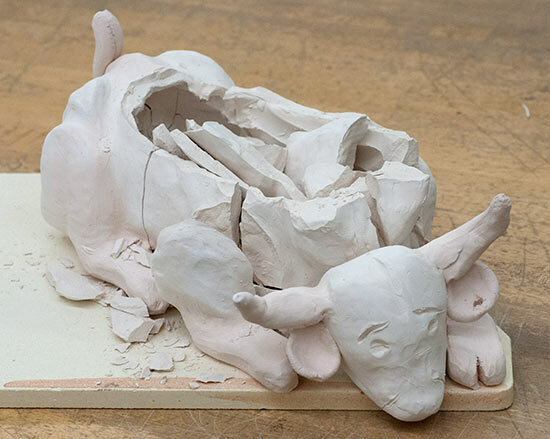 Do you have something to submit to the Ceramics Blow-Up Hall Of Fame? Send me a photo and a note!